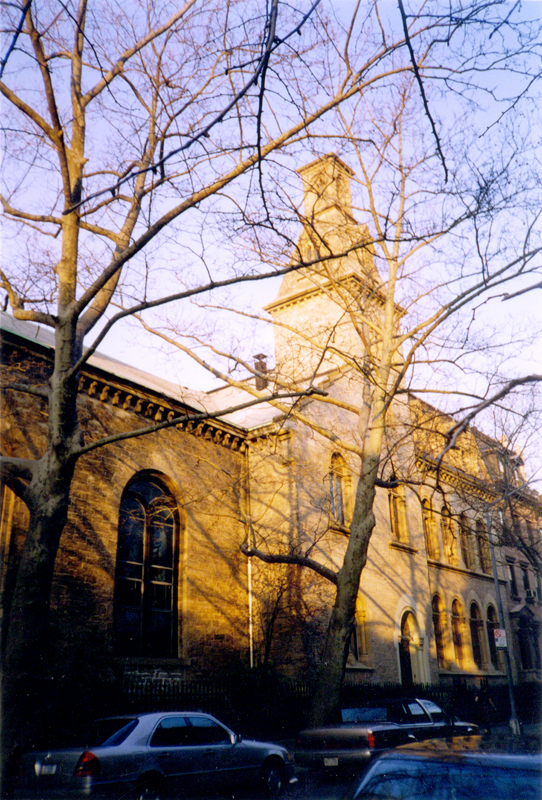 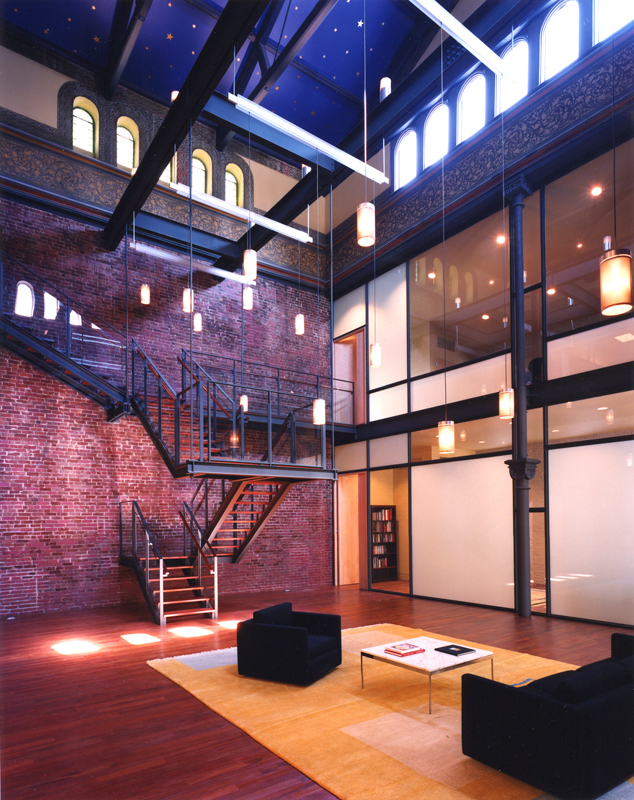 This project included a renovation and insertion of a chancery into a Romanesque-revival church, built by Richard Upjohn in 1844. 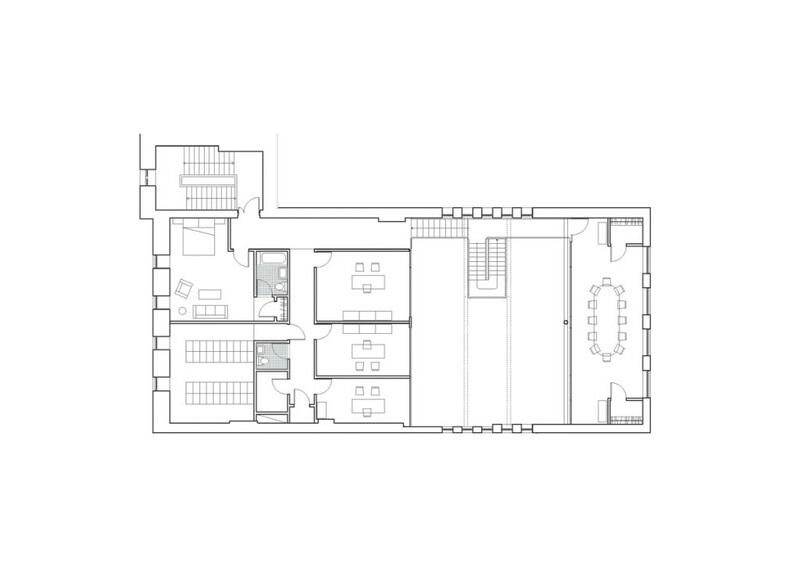 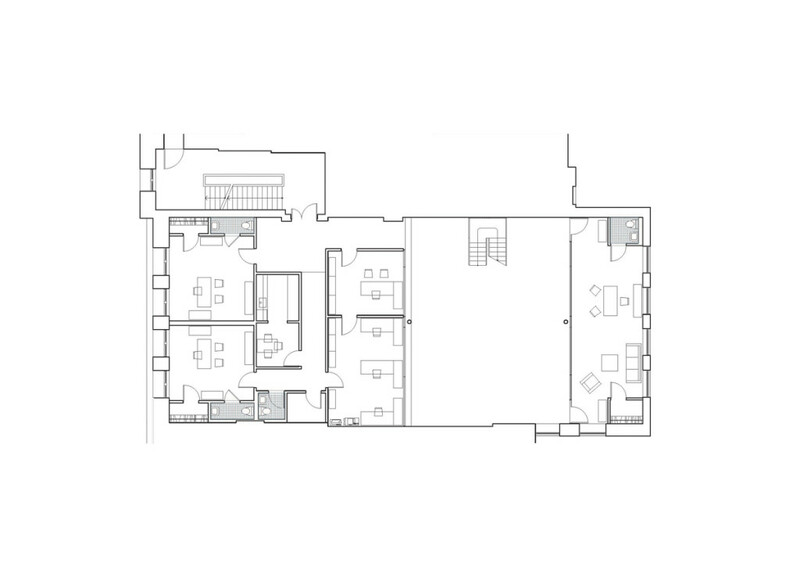 The central focus of the project was to develop administrative offices and a lounge and event area located in the core of a two story, dilapidated and abandoned space. 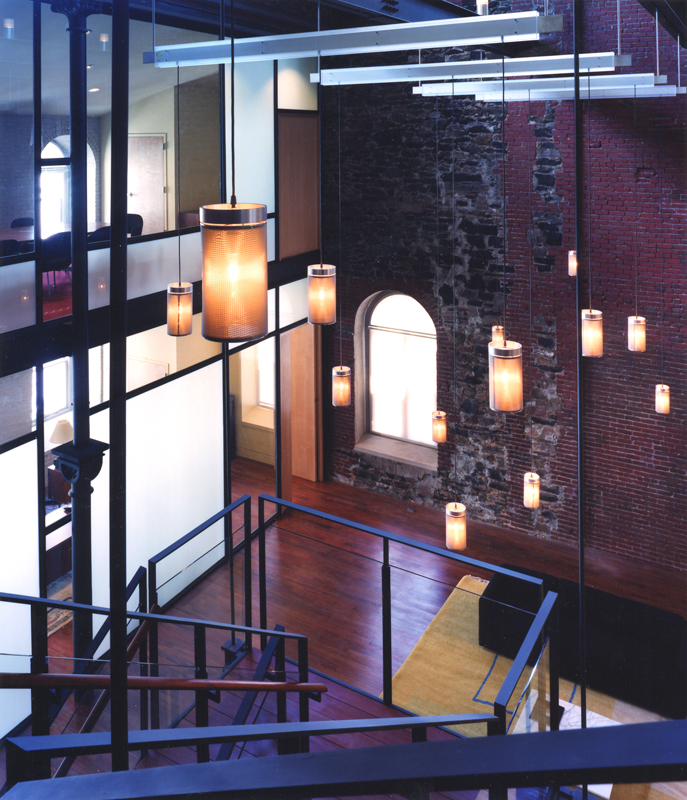 In undertaking this endeavor, Ogawa | Depardon Architects’ challenge was to insert modern elements into a historically restored architecture. 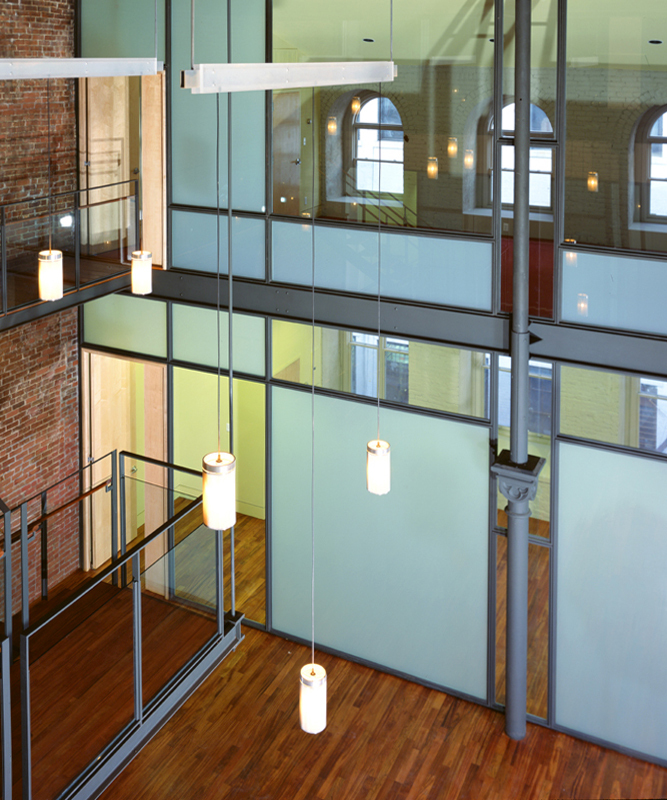 This was accomplished with a suspended steel staircase and mezzanine as well as floor to ceiling glass and steel partitions separating the common space from the administrative offices. 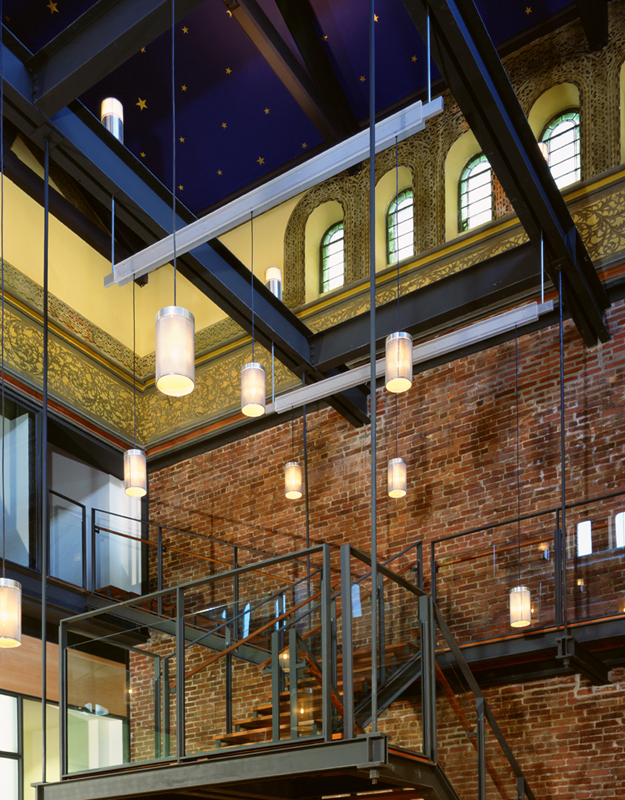 Fourteen suspended metal mesh cylindrical pendant lights, hung at varying heights within the tall volume, function to bring more human scale and grand display of natural and artificial lighting to the space. 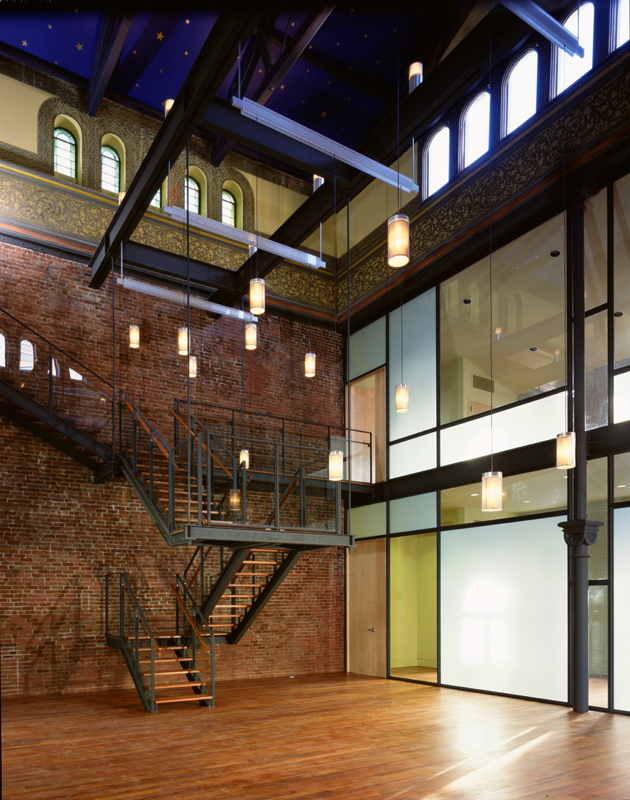 All historical elements within this landmark building were restored. 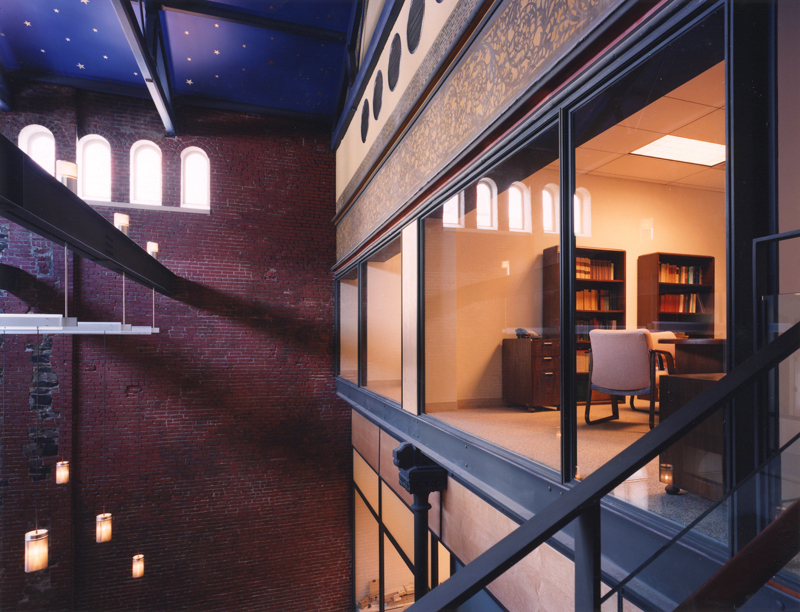 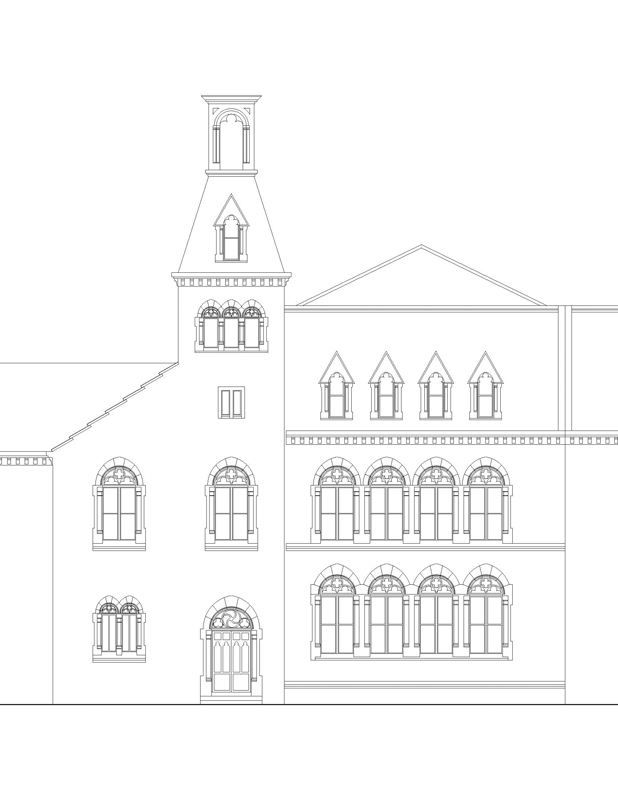 This included renovation of the exposed brick, stone and original steel columns as well as extensive restoration of painted friezes and the ceiling. 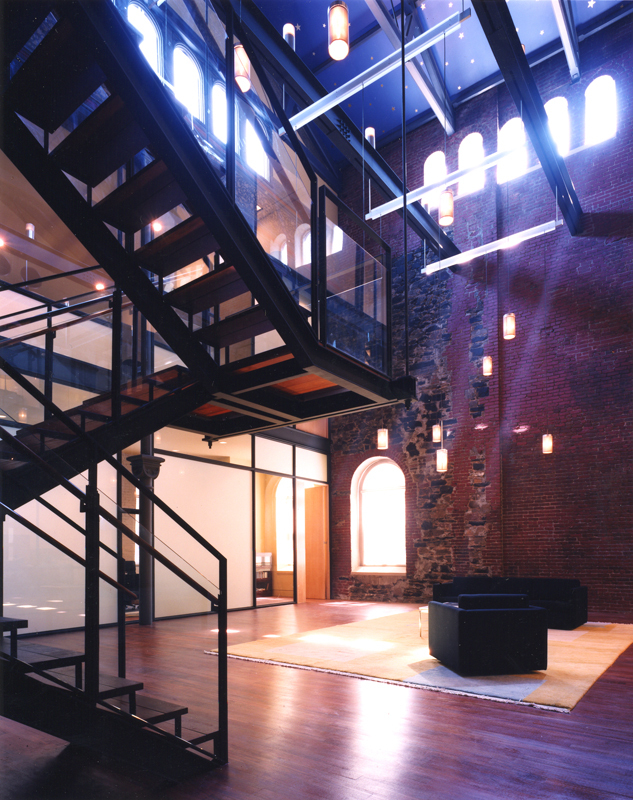 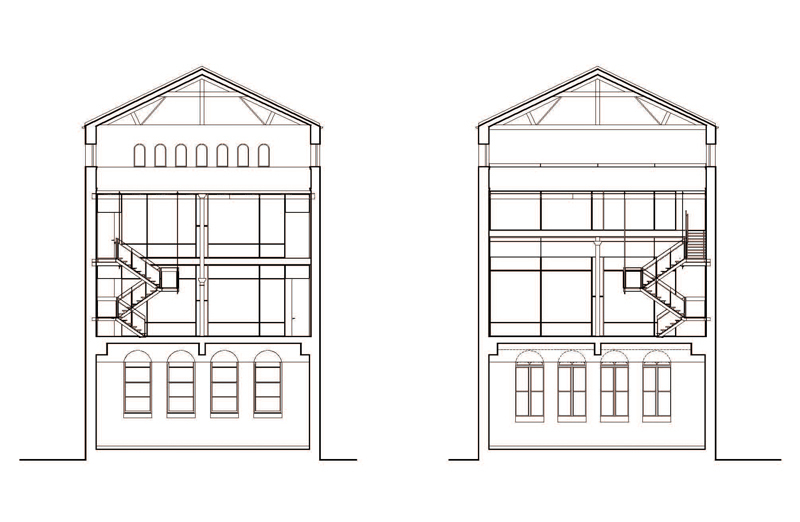 This adaptive re-use was economically built by contrasting the new glass and steel facades, stair and catwalk within the dramatic restored interior.